The USA Department of Defence (DoD) NAVigation System with Timing And Ranging Global Positioning System (NAVSTAR GPS) is a satellite based, worldwide, dependent, radio navigation system for position determination with a civil accuracy of 100 meters. The GPS is developed, funded ($12,000,000,000) and maintained ($500 000 000/year) by the DoD as a military navigation system. The U.S. Air Force Space Command (AFSC) declared the system ready for Full Operational Capability (FOC) as of April 27, 1995. FOC requires 24 block II/IIA or later satellites functioning in their assigned orbits and successful testing completed. From the start, civil use was made of the system by all modes of transportation, although civil users are denied access to the highest military accuracies. However, the purposely degraded accuracy is still very accurate and available to civil users (be it road, rail, air, water, space transport or geodesy) at no cost/charges for using the satellite signals. Pilots increasingly rely on GPS navigation equipment. Commercial aviation lagged in the implementation of GPS because airliners are already equipped with accurate inertial navigation systems for cruise navigation and because the basic GPS system is neither accurate nor reliable enough for all phases of flight and augmentation techniques needed to be developed. Because of the increasing demand for accuracy when navigating through Minimum Navigation Performance Standard (MNPS) and Reduced Vertical Separation Minima (RVSM) airspace, the upcoming Required Navigation Performance (RNP) environment and the need to improve upon safety through Enhanced Ground Proximity Warning System (EGPWS), commercial aviation became increasingly interested in GPS navigation. Ultimately GPS navigation may replace some of the legacy ground based aids to navigation for all phases of flight down to near CAT I approach or even further given yet uncertain developments that will be discussed later. GPS now is considered standard fit on newly manufactured airliners. The GPS lacks the integrity to be considered a sole means of navigation in aviation. Integrity being the property to timely alerts the user when the GPS should not be used. Augmentation techniques will be designed to overcome this hurdle. 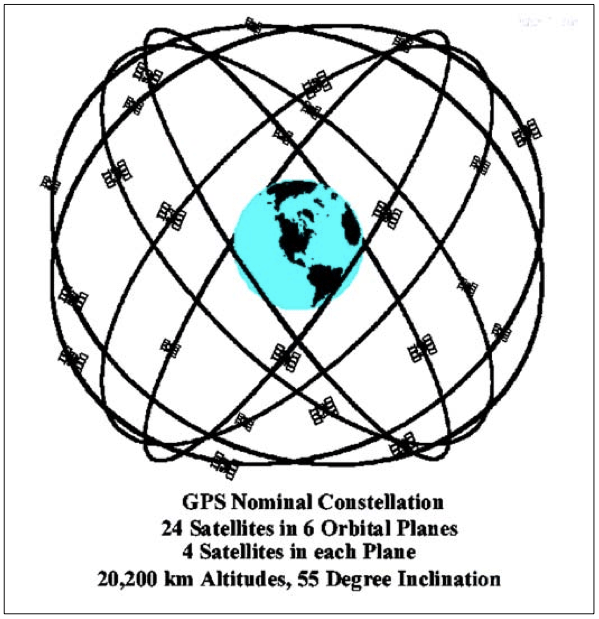 Till then GPS can be certified as primary means of navigation in oceanic/remote airspace and as supplementary system for en route and non-precision approach while backed by alternate means of navigation.